It’s common for someone’s life to improve after they learn they have ASD. It happened to me. There’s a huge wave of relief that washes over some when they finally understand why things are different for them and why they themselves are different. If the message is delivered correctly then they’re not being told that they’ve been doing things wrong. Rather, they’re being given a better understanding of their limitations and advantages so that they can now lead more successful lives. 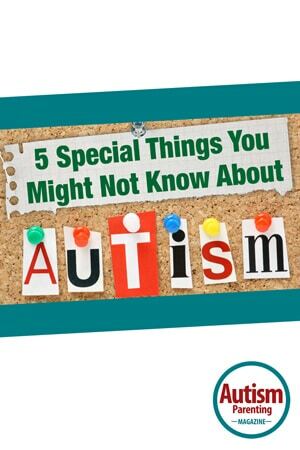 While our autism spectrum disorders explain a lot about who we are, there are plenty of things one diagnosis or even a plethora of diagnoses can’t explain. The behaviors and mindsets of people on the autism spectrum, while often having things in common, can vary wildly from person to person. The books out there about autism give some great advice, definitely, but all of that advice won’t work for every individual. You have to pick and choose the tips you implement based on the specific needs of the special person in your life. This manifests in a lot of different ways, with the underlying truth that, just like most people, being dismissed by others also frightens those of us on the autism spectrum. Even if it seems like we don’t care what others think of us, we usually do. If we’re unhygienic it’s likely because we don’t realize how that affects the people around us, rather than because we don’t care. A good way to help people on the spectrum is often to explain how they’re affecting others’ opinions of them, because that might lead them to take steps towards changing that. It’s often tough to communicate with someone on the spectrum, because we’re frequently awkward or unsure of ourselves. It’s important to remember, though, that the discomfort isn’t just on your end. We’re equally frustrated by our inability to carry on what for most is a simple conversation. Some sympathy when we’re trying to express ourselves in our own style can go a very long way. Mood swings are common amongst people on the spectrum, and what people need to remember is that there’s often no real reason for why we switch from depressed to elated, or focused to spacey, or make any other kind of shift. As much as it can be human inclination to look for a reason why a change occurs, sometimes it’s best to accept that change just happens, especially amongst people on the spectrum. These five things might not be true for all people. As said previously, everyone’s experiences are different. It’s just what I’ve noticed and experienced in my own life. I hope it gives you a new perspective into the mind of someone with ASD, and maybe helps you understand them a little more fully. Matt O’Keefe is a freelance writer who creates original online content for organizations such as Minnesota Life College, a vocational school for young adults with learning differences, and entertainment media outlet The Beat, which was named one of TIME Magazine’s Top 25 Blogs. View his portfolio at mattokeefe.net. Can we get this magazine in London ? I found this article very good. Everyone seems to get upset because saying that I have ASD helps me identify myself. They say I use it as a crutch. I don’t understand why.